I am particularly interested in your comments and views on this issue. Let me put a number of points to reflect my own thoughts on this. 1. Inflation is coming down and is set to be at the 2% mark fairly shortly. 2. Law firms are set to cut around 10%, possibly more, of their headcount – partners, associates and support staff – when the 2009 figures are compared with 2008. This has been well reported in the press and need not be rehearsed further here. 3. Britain and the rest of the world is facing possibly the worst recession since the 1930s. 4. There is a general re-structuring of pricing in the profession, legal aid is being cut back severely and lawyers who practice in the fields of crime, family law and general common law, particularly, are facing a severe reduction in fee income from public and privately funded work. The College of Law is a registered charity and one assumes, not unreasonably given their success and market penetration that they too are showing growth in revenue and are well run and well funded. Kaplan Law School is part of the very successful Kaplan group in the States. It may be that these law schools, offering high quality courses, deserve their success and should not be penalised now just because the financial world has gone into meltdown because of the greed, venality and stupidity of the banking sector and a failure of governments to regulate. However, that being said, the fee rise proposed by these schools may well stick in the craw of the consumer… the students, let alone the City, Magic Circle and other large law firms who pay for their trainees to do the GDL and LPC. I cannot for one moment imagine that law firm managing partners, who are currently shedding staff with the enthusiasm of a hungry rice farmer in a padi field, will embrace these fee hikes with quite the same enthusiasm as the law school directors. Yes… students are customers and should be treated like customers – but they don’t have much bargaining power, they don’t have a great deal of choice of provision because even the traditional universities are in on the wonderful game of raising high revenues from law courses in these difficult days of government funding – so they have to pay the piper’s fees or go without. LPC and BVC fees are soft targets for fee rises. For my part?… I think this round of fee hikes needs a bit more justification and explanation than bland PR pushed out by these law schools. It may well be, of course, that there is a perfectly plausible and credible reason why these law schools have to increase their fees susbtantially above prevailing inflation each year and, of course, they too are welcome to comment on this post. 27th February: Daily law news and news podcast up on Insite Law – and it is a big update on the UK blawgs section. See also the Insite Law Blog – where all the news items, podcasts, and UK blog posts featured on Insite Law each week are archived. 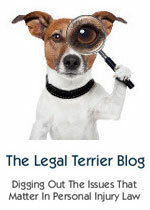 The value of the Insite Law Blog lies in the searchability of the news and blog items. So if you want to catch up on the weekly news or what has happening in the UK blawgosphere – the Insite Law blog will be of some use, hopefully. Have a look? You may want to get the weekly legal news, law reports, blog posts, news from the Bar, the Law Society and The Ministry of Justice delievered straight to your in-box. If so, then sign up for my free weekly newswire. Have a look at Issue #4 from last week to get a feel for what is offered. Sign up for the free weekly newswire? Blawg Review: An Institution reaches 200th edition…. While children sleep in their beds and lawyers pore over their briefs and papers…. the Prince of Darkness himself will host Blawg Review on March 16th… the theme day of my favourite god, Bacchus. Lawyers in the American mid-west ‘may’ tremble at the prospect after the Prince revealed himself in Blawg Review #666 last year – a truly astonishing peroration on no theme at all by the holder of the Tourette Chair of Legal Blogging at F%$chester University. This year… who knows what GEEKLAWYER will do. I cannot wait! I interviewed Geeklawyer who likes to remain anonymous. This explains his Ninja outfit. He has just been in Canada for a month, living high on the proceeds of fees from his grateful punters. Watch the movie to see what he has to say about his forthcoming Blawg Review. PS: Colin Samuels, author of the Infamy or Praise Blawg picked up his fourth Blawg Review of The Year title (in succession) for his excellent Blawg Review on the theme of The Ancient Mariner. His previous Blawg Reviews took Dante’s Inferno as the theme. I am pleased to say that Colin Samuels is now my co-author for the West London Man series of social satires modelled (loosely) on Hogarth’s Rake’s Progress. Love is in the lair?…. Ageing middle aged roue, lawyer, blogger and professional Rioja drinker seeks attractive, amusing woman who does not spend her leisure hours reading Rayden on Divorce or stripping newsagent shelves of Bride Monthly. Tax and Trust lawyers or those with off-shore expertise need not apply. Smokers encouraged and drinking is compulsory. Despite the fact that I have been married so many times I now have an ASBO prohibiting me from going within 200 yards of a Church, Register Office or other licensed place for the purpose of committing libertarian suicide, I am not, contrary to the *advert* above, looking for love or a shag. Are you single? Is the person sitting next to you single? Is James from IP single? Law and More, after numerous requests, has finally got round to introducing Lawandmore Dating. The section will work much as you find in The London Paper/Metro but, obviously, we’ll be sending out hot lawyers out on various escapades around the capital – wine tasting, slap up meal for two, dancing lesson etc ( also happy to organise any requests) (all expenses paid, naturally) . All we require you to do is a. have fun b. to write up a smart and sassy review of the evening and any intricacies that evolve! You can, of course, remain anonymous should you so wish. All we require is the name of your firm/chamber/practice and a few photographs of the evening which can be altered to preserve confidentiality. Of course, as this section is totally new, we are very much open to any ideas you may have to make this section fly. We’ll than match you, hopefully, with your kindred spirit and send you on an all expenses paid date in the Capital (regional to follow) Please forward this email on to any of your single peers that could do with a fabulous night out and someone to call their ‘own’. Please submit entries/requests/feedback/ideas to Vwozniak@lawandmore.co.uk and Sabreena@lawandmore.co. – all material will be handled with the utmost discretion. Editorial Note: Having said that… if anyone would like….. no….. no…. enjoy yourselves. I am doing a podcast soon with Steve Hynes, Director of The Legal Action Group (LAG) as part of my current series of podcasts on civil liberties and human rights. We plan to focus on Legal Aid (or the lack of it) in civil cases and access to justice issues. LAG has a book on Legal Aid coming out in mid-March and e’ll certainly mention that in our podcast. Steve is the director of the Legal Action Group (LAG). LAG is a charity that through its publishing and training services plays an important role in increasing lawyers’ and advisers’ knowledge of the law. It also carries out policy and campaigning work mainly focused on publicly funded legal services, advocating for the voice of the end-user to be heard.